It hasn’t passed my attention that I seem to spend more time on my knees at the side of my bike than actually sat on it. Yet again I start a job that should take about half an hour and then end up spending an extra 2 hours because everything is seized and rusted and old and hasn’t been off since the bike rolled out of the factory. Today’s entry comes courtesy of the rear caliper. So I thought to myself “Oh yeah I’ll just whack the two new rear pads in and that’s another thing off the list for the MOT” my bike said “let’s see how long this one takes him”. I understand now why most bikers are heavy smokers, it’s not the riding that’s the stressful part, it’s just trying to keep your bike on the road. 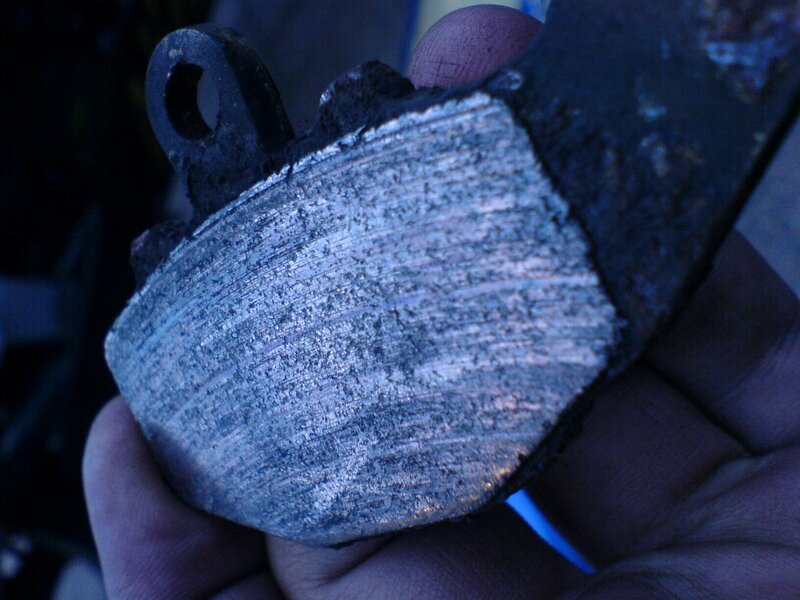 The first problem I encountered was that the pin that keeps the pads in had seized in place. In the end I had to take the caliper off the bike and hit the pin with a chisel to get it out. I was reluctant to take the caliper off as it would mean messing about bleeding the brake, something I had never done before and didn’t want to cover new ground with so much to do to get the bike back on the road. 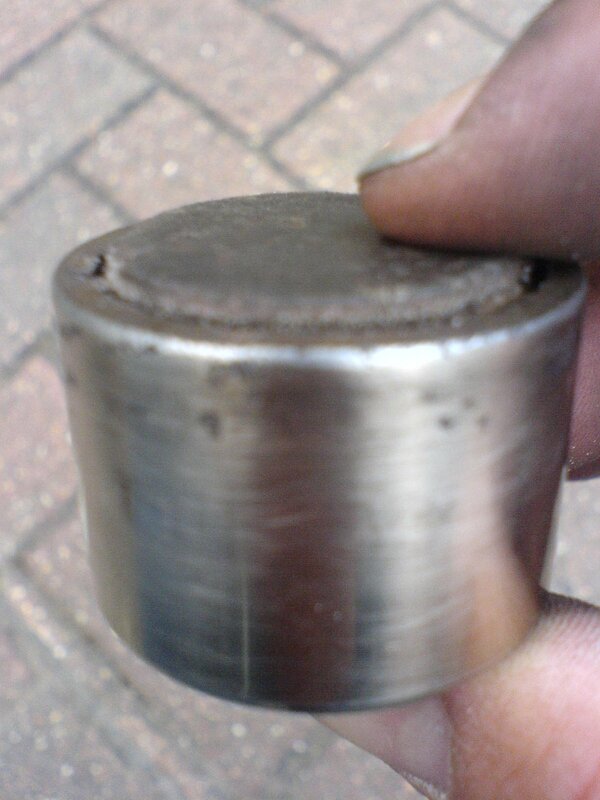 As it turned out I would have had to take the caliper off anyway as there was more afoot than a simple seized pin…. You can see the left end where it was seized into the caliper and the right end where I chewed it up with pliers and chisels. Great fun. So I put the two new pads in and low and behold the caliper wouldn’t go back over the disk. The piston wouldn’t go into the caliper far enough. This resulted in lots of swearing and stripping the caliper down, furious sandpapering and then putting everything back together again. It’s pretty clear how bad it was one you look at the before and after. 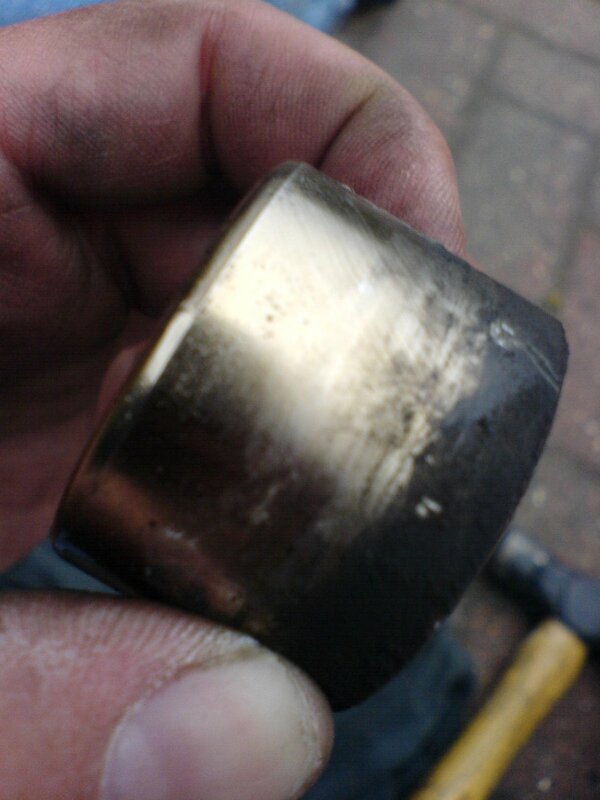 There was some pitting on the cylinder but I didn’t think that it would make a huge difference. My first attempt at bleeding the breaks wasn’t great. 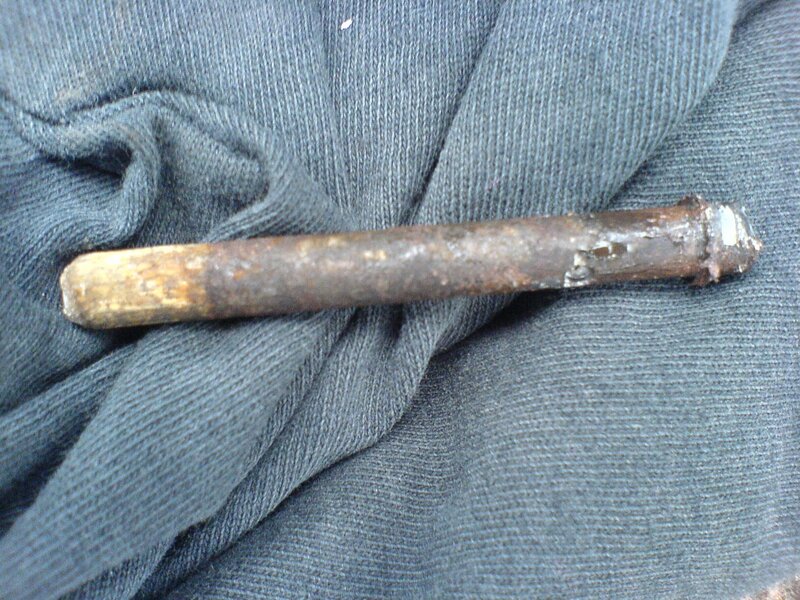 As usual the bleed screw, although not seized in the caliper, had lost it’s dust cap some time ago and there was loads of rust and gunk in the hole where the brake fluid was supposed to come out. I gave up for the night, the pads were in, the caliper was back on and I hoped that it was now just a simple case of bleeding the system a bit more and we would be back with rear wheel skids.